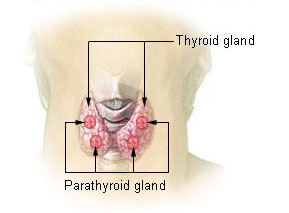 The thyroid and parathyroid are endocrine glands of the lower midline neck. Although often treated medically by our referring physicians, continued enlargement, nodules, suspicion for cancer, and hyperactivity may sometimes necessitate removal. We perform thyroidectomies and parathyroidectomies with particular attention towards vocal preservation using Medtronic© nerve monitoring and Harmonic® scalpel.